Hamilton County Schools today announced the principal selections for Nolan Elementary and Alpine Crest Elementary for next school year. The talent team for the school district searched across the country to attract the best school leaders as part of their mission to attract great teachers and leaders to Hamilton County Schools. One search landed in Maine and the other in Nashville to secure the top principal talent for the children of the Tennessee Valley. 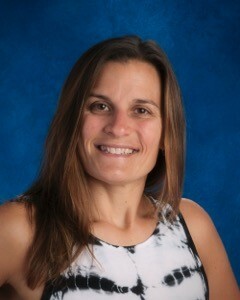 Kelley Weiss, current assistant superintendent in Enfield, Maine, will be the new principal at Alpine Crest Elementary. Dr. Weiss has been an assistant superintendent for the past year in charge of curriculum development and teacher evaluation. She is passionate about the drive for excellence for children. She has spent six years in school administration, and she taught for eight years. Dr. Weiss was the principal at Enfield Station School from 2012 to 2017. 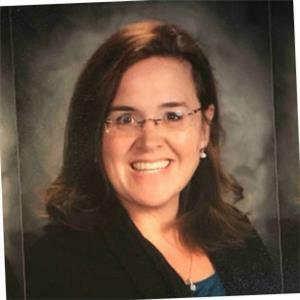 She also spent two years as principal and assistant principal at Millinocket, Maine. Classroom experience for Dr. Weiss was as a science teacher at Old Town High School in Maine. Her experience as a school administrator and in leadership was high on the list of professional experiences desired by parents at Alpine Crest. Dr. Weiss holds a bachelor’s degree from Coastal Carolina University; a master’s from the University of Maine, and a doctorate from Liberty University. Dr. Weiss plans to meet with all of the educators at Alpine Crest as her first order of business to set goals for continuing and building on the staff’s work to increase student achievement. “As well as having an open house to hear from the community as to what they love about Alpine Crest and how we can work together to give students the best learning experiences possible,” Weiss added. The new principal of Nolan Elementary is Dr. Ashley Aldridge Wilson, an administrator returning home to Hamilton County. She grew up on Signal Mountain and taught there early in her education career. As a principal, she helped transform a traditional public school to be the first school in Tennessee to achieve AdvancEd Accreditation with STEM Certification. Dr. Wilson started as a Pre-K teacher in the community in the voluntary program at Mary Ann Garber Elementary. She spent a year teaching in Orlando, Fl., before finding a home on Signal Mountain as a teacher in Hamilton County spending six years working in second, third and fourth-grades at Thrasher Elementary. Dr. Wilson moved into administration as assistant principal at Barger Academy of Fine Arts in 2006. She was also an assistant principal at Woodmore Elementary and Hardy Elementary. She moved to Knox County in 2010 to become a principal. She has led Pleasant Ridge Elementary in Knox and Jack Anderson Elementary in Sumner County as a principal. Dr. Wilson returns home from her current position as an early learning instructional coach in Metropolitan Nashville Public Schools. Dr. Wilson’s experience as a principal, education level and knowledge of the community were all important to parents at Nolan Elementary in the principal search survey. She holds a bachelor’s degree from the University of Tennessee at Chattanooga, a master’s and specialist’s from Tennessee Technological University and a doctorate from the University of Tennessee at Chattanooga. This summer, Dr. Wilson plans to work with the Nolan staff, PTA, and other community leaders to ensure a smooth transition.